How is 365 different from Whole Foods? Whole Foods still can't catch a break. A little over a year after being accused of price-gouging, Whole Foods isn't back on its feet. Sales at the company's stores open a year or more declined for the fourth consecutive quarter, according to results released Wednesday afternoon. "We are continuing to make measurable progress on fundamentally evolving our business," Walter Robb, Whole Foods' co-CEO, said in a statement. Whole Foods (WFM) profits declined 22% from a year ago to $120 million. Overall sales rose 2% to $3.7 billion, which was a record for the quarter, but still a far cry from the company's double digit sales growth just two years ago. Whole Foods' same store sales were worse than Wall Street projection, causing the stock to sink about 5% in after-hours trading. Whole Foods' stock is flat in 2016, and down about 16% from a year ago. In June 2015, the New York City's Department of Consumer Affairs accused Whole Foods of "systematic overcharging for pre-packaged foods." The city's inspectors called it the worst case of mislabeling they had seen in their careers. Whole Foods apologized, but said the overpricing wasn't intentional. Shrugging off the overpricing perception hasn't proven easy. More recently, Whole Foods has a new concern: allegations from the Food and Drug Administration (FDA) about "serious violations" at one of the company's food preparation facilities in Everett, Mass. In a letter to Whole Foods co-CEOs John Mackey and Robb in June, the FDA said the violations included a failure to sanitize food prep surfaces, dirty dishes near food, sinks without hot water for hand-washing and a worker who sprayed an ammonium-based sanitizer on "an open colander of salad leafy greens." What's worse is that the FDA had already warned Whole Foods in a letter in March and found the company's response "unacceptable," because it didn't provide documentation that the FDA requested. Whole Foods is also trying to appeal to a younger, hipper crowd of customers with its new stores called "365 by Whole Foods Market." It's opening three of the smaller format stores this year and plans to open 10 more next year. All of them will be in cities. The stores are somewhat different from its traditional supermarkets. For example, its first 365 store in Los Angeles has a craft brew bar for hot coffee and cold beer, as well as a vegan restaurant. 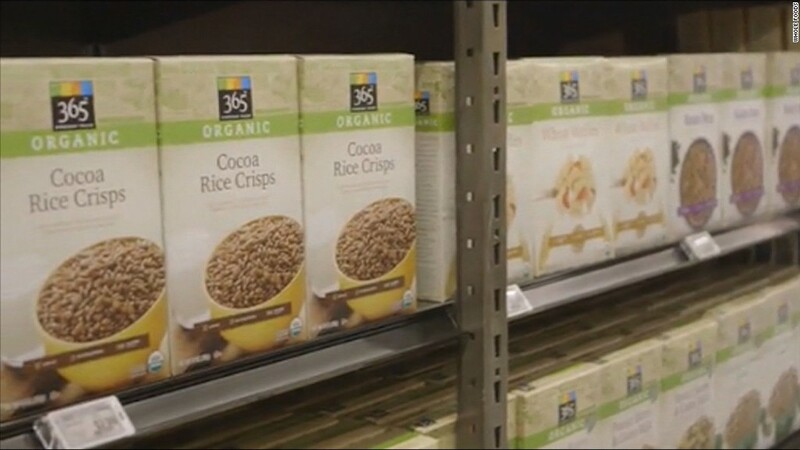 Some analysts caution that the 365 stores could cannibalize its existing base of shoppers because they're located in cities where there are already regular Whole Foods stores. Still, experts don't expect the 365 stores to be an immediate game changer for the company.